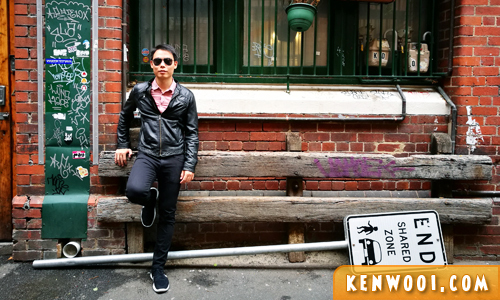 It was definitely an exciting adventure during our recent trip to Melbourne, Australia. 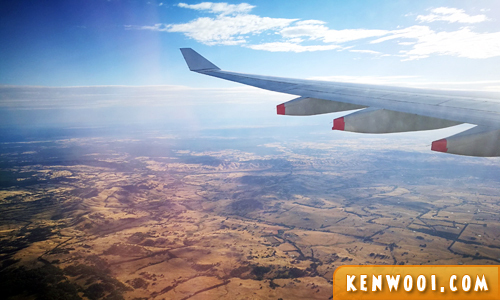 Honestly, Australia wasn’t on our to-travel list within the coming years, but it became an opportunity since my younger sister was flying to Melbourne for a semester exchange with RMIT University. When we told our friends that we’ll be in Melbourne for 5 days, the first reaction we got was… WHY SO SHORT?! Well, I didn’t think 5 days was “short” at the beginning as I was quite clueless about the places of interest in Melbourne. 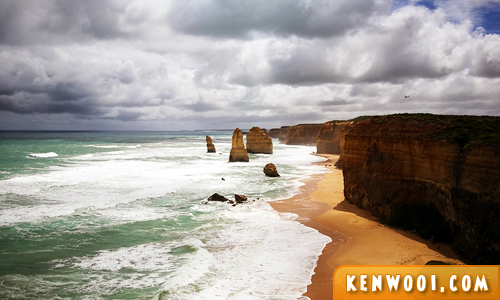 But after a couple of online researches, Melbourne seems to have a few cool places to visit… and that includes a trip to the Great Ocean Road! As loyal Malaysians, we flew to Melbourne via MAS – knowing that AirAsia definitely has a better rate. But hey, it’s a long-haul flight and we deserve to be comfortable throughout the flight. Plus, there are 2 meals during the flight, unlimited snacks (okay, limited somehow), check-in baggage allowance, and better seat and leg space! 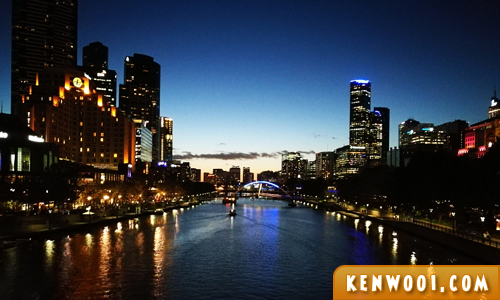 Anyway, long story short… here are some top places to visit in Melbourne! 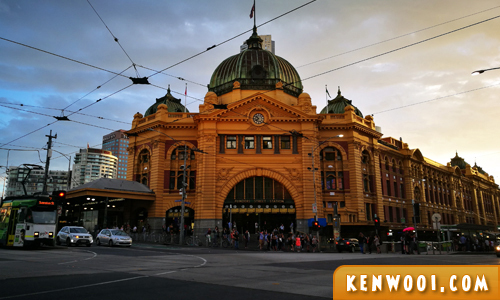 Flinders Street Railway Station is the main railway station located at the heart of Melbourne CBD. The saying “I’ll meet you under the clocks” refers to the row of clocks above the main entrance. I didn’t meet anyone there though. 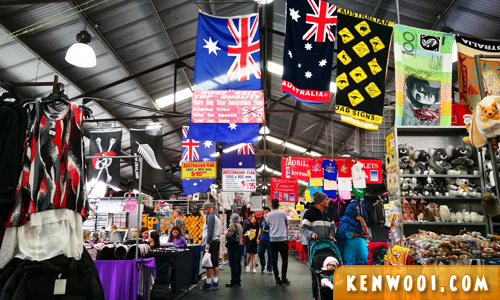 Queen Victoria Market is a main landmark in Melbourne, the largest open air market around town, and signifies Melbourne’s culture and heritage. It was named based on the market’s location (corner of Queen and Victoria Streets); not after Queen Victoria. The State Library of Victoria is the central library located in the northern centre of Melbourne CBD. 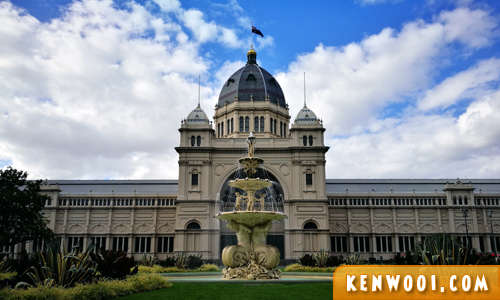 The Royal Exhibition Building is located in the Carlton Gardens. Smaller sections of the building were demolished during the 20th century, however the Great Hall (main building) survived. 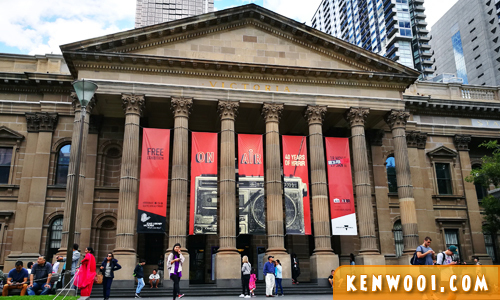 Today, it hosts exhibitions and is tied with events at the Melbourne Museum (located behind it). Also, here just for view. Beautiful garden, I must say. 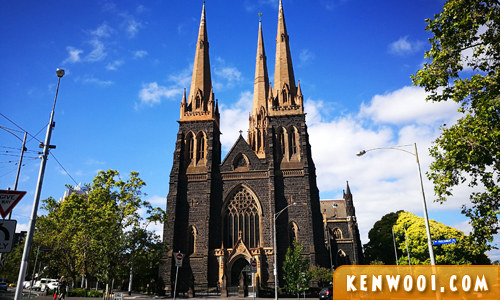 St Patrick’s Cathedral in Melbourne is both the tallest and largest church building in Australia. 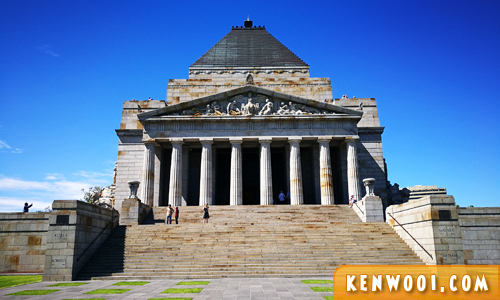 The Shrine of Remembrance (located within the Royal Botanic Gardens) was built as a memorial to the people of Victoria who served in World War I, and is now a memorial to all Australians who have served in war. Remember to take the staircase up for a higher view. 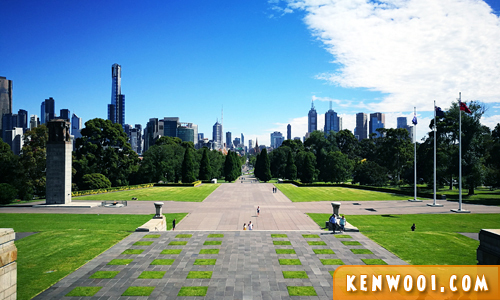 Besides the concrete attractions, Melbourne hosts several beautiful gardens – a great place to chill and stroll around. 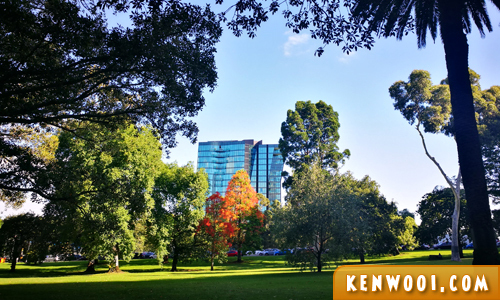 This photo was taken at the Fitzroy Gardens. I sure wish I had all the time to just lay on the grass and enjoy the moment… but heck, we’ve got more places to visit! Move along! 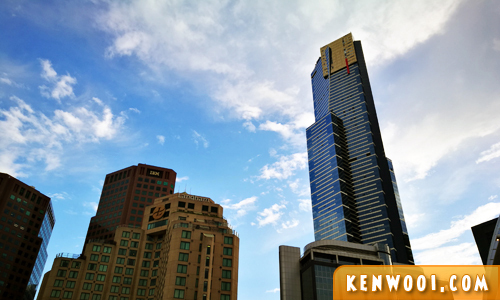 Eureka Skydeck 88 occupies the entire 88th floor of the Eureka Tower and is the highest public viewpoint in Melbourne. The entry costs AUD20 (RM70) per adult, but you may get 10% discount vouchers from leaflets available at the airport. 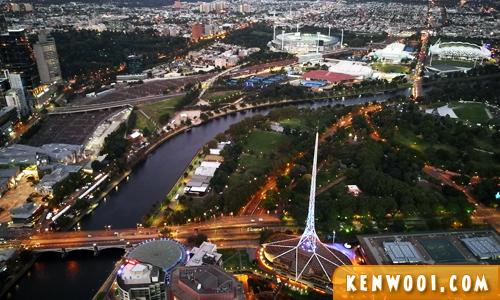 The Skydeck has a panoramic view of significant landmarks around Melbourne. There is an outdoor area for a not-through-the-glass view, and also a glass cube called “The Edge”, which extends out from the building for a more thrilling viewing experience. Great experience at the Eureka Tower but we didn’t manage to see the sunset as it was cloudy. On one of the days in Melbourne, we went on a 1-Day Great Ocean Road Trip (to and fro), with The Twelve Apostles as our main destination. The Great Ocean coastal road took a 4.5 hours drive (280km away from the city) to reach The Twelve Apostles. 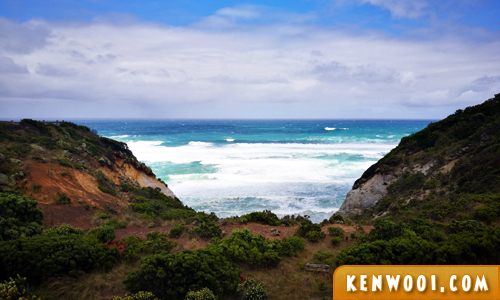 The ocean view throughout the Great Ocean Road was simply breathtaking. We managed to stop at several pitstops to embrace the sceneries. It was both cold and windy along the coastal roads as we drove towards Lorne and Apollo Bay before heading to The Twelve Apostles. There, the magnificent Twelve Apostles! What a view! We were really grateful to see the collection of limestones off the shore of Port Campbell National Park. Apparently, only 8 out of 12 remain… as the rest has collapsed due to erosion from the waves. The returning journey to Melbourne took another 3 hours drive via the inner roads through Colac and Geelong. So did we rent a car? You bet we did! 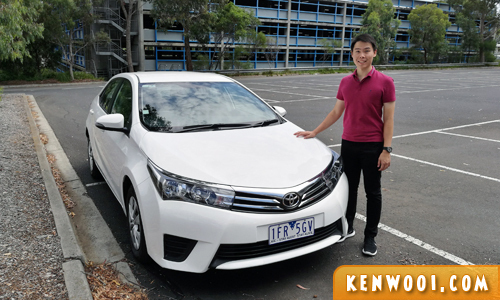 We rented a car from Hertz for about AUD60 (RM210) per day – inclusive of insurance. 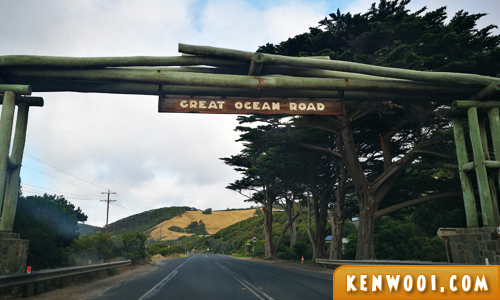 The car was mainly used when we left the airport, visited the Great Ocean Road, and headed back to the airport. 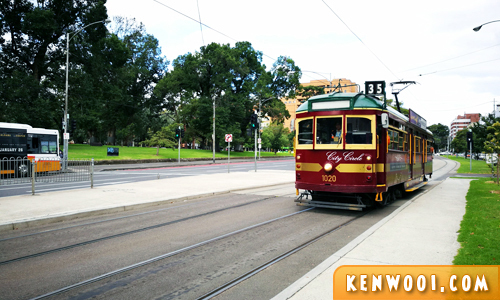 As for the rest of the days in Melbourne, we walked and took the tram within the Free Tram Zone. I initially didn’t quite understand how the tram works, so we walked most of the time on our first day. But as we started getting tired of walking, the need to study the tram logistics arises. After Google Mapping and understanding the the trams’ network, we frequently opt for the tram when we’re going the distance. 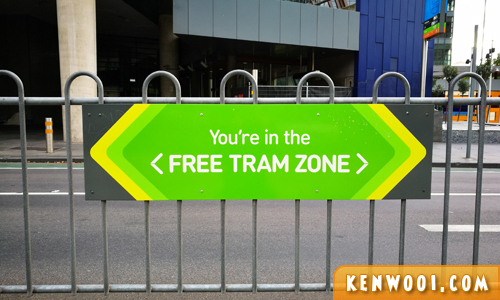 Thank you, Melbourne, for the free tram zone! It saved me from breaking a leg. Heh. 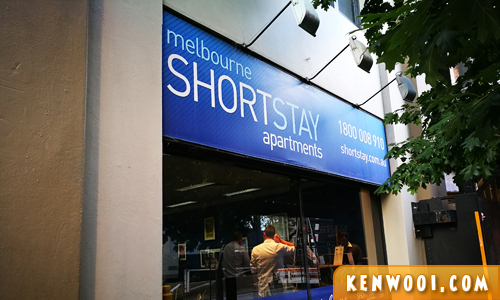 The accommodation we stayed in was Melbourne Short Stay Apartments (MSSA). I came across this apartment while searching for a suitable place for 4 pax. After studying the cost, it’d be more costly to book 2 hotel rooms compared to a 1 2-bedroom apartment. Hence, MSSA! The plus point of an apartment is definitely the amenities. They have the washing machine and dryer which we use every night, and a complete kitchen with cutleries. The Melbourne culture is pretty laid back, cool and hippy. The people are generally friendly and the customer service was amazing. It’s also a safe place to roam around at night. The weather was a little cranky and it got extremely cold and windy on a particular day, and extremely hot and humid the next day. I basically got my sunburn on the last day. Freaking hot! Anyway, it was a short yet fun trip to Melbourne! We’ll definitely return one fine day… in the far future! Lovely place for a holiday! I like Melbourne too…. esp the Victoria market… Still miss the cheap cheap cherries!! I was in Melbourne in 1980, so long ago – did not like it much as that was during a horrendous heatwave and all the flies!!! Time to go again, I guess. Lots of friends and relatives living there now.